I am sharing this post in partnership with Wild Planet. As always, all opinions are my own. I appreciate you supporting both me and the brands that allow me to create quality content for you! These Low Carb Tuna Cakes are an absolutely delicious and keto-friendly meal option! Each bite is rich in flavor and nutrients. Whip up this recipe over the weekend, store in the refrigerator, and you’ll have dinner ready to enjoy all week long! 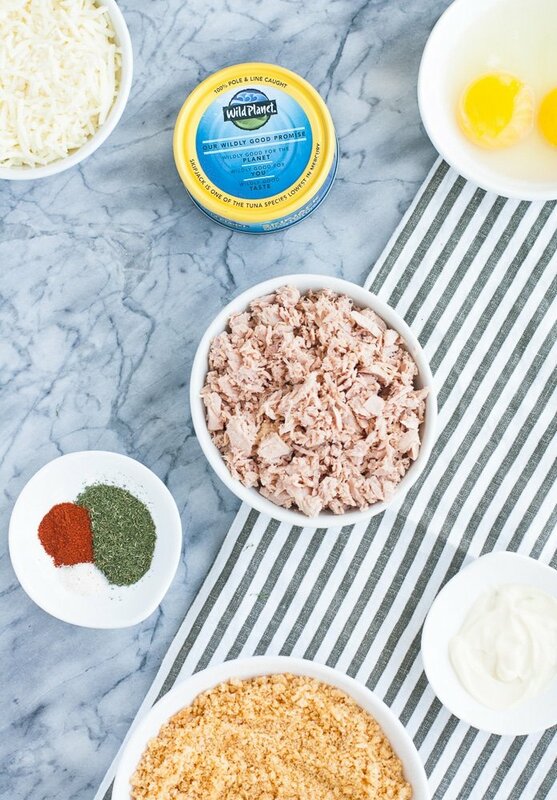 Tuna cakes made with sustainable, nutrient-dense ingredients are the ultimate meal to enjoy throughout the week! 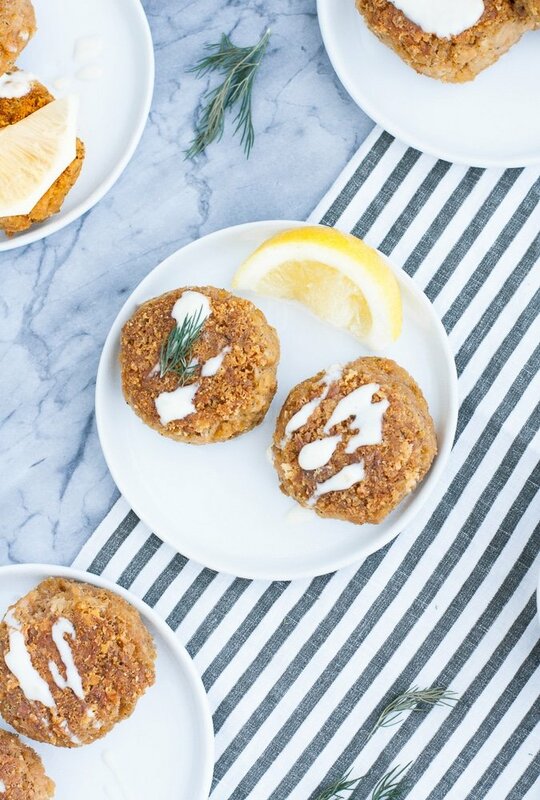 These keto, low carb, gluten free, grain free, nut free, and coconut free tuna cakes are about to become your new go-to! These tuna cakes are unlike any other fish cake that I have ever made. 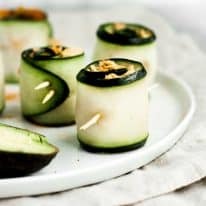 They are absolutely delicious, and they are also surprisingly simple to make. Great taste combined with an easy-to-make recipe? Yes, please! These tuna cakes are made using a special selection of ingredients. Some of the required items that bring this meal to life include mozzarella, crushed pork rinds, mayonnaise, eggs, and a handful of spices. 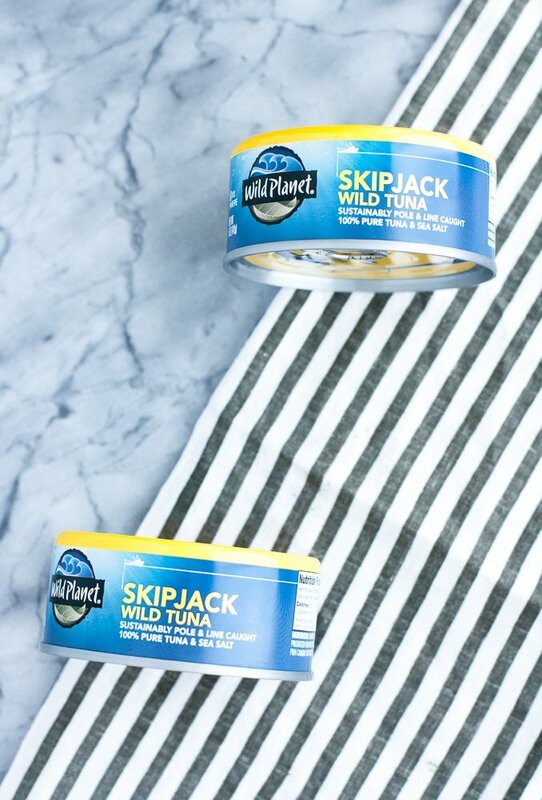 In addition to those ingredients, there is one key item that make these fish cakes absolutely incredible: Wild Planet Skipjack Wild Tuna. 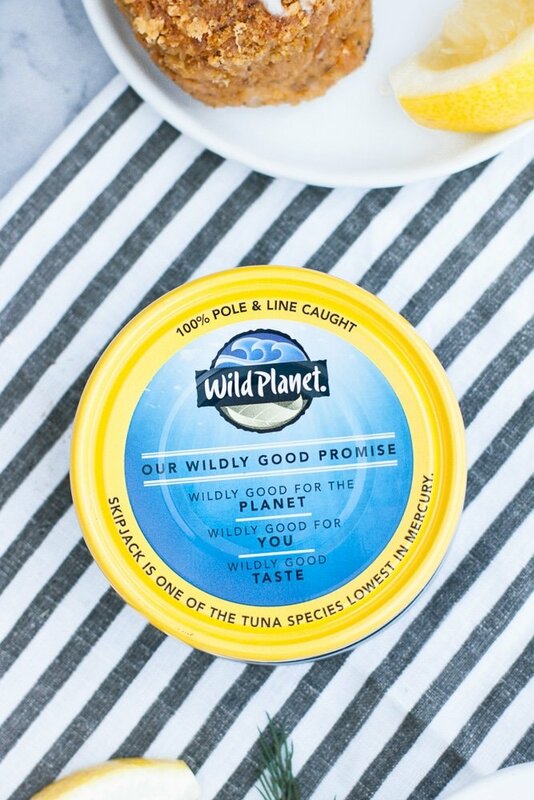 To achieve their ready-to-eat status, Wild Planet hand-fillets each piece of fish, and they only cook them one time. Other fish companies cook their products multiple times, which rids the fish of their nutrients. 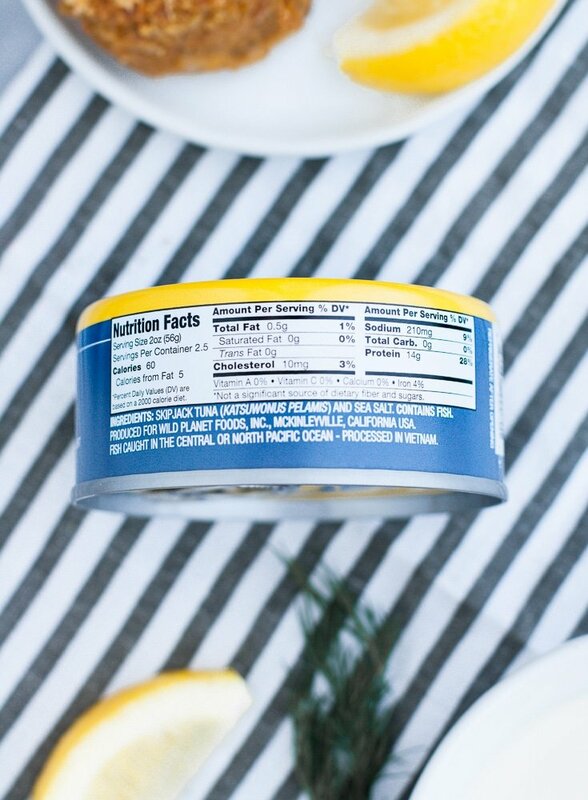 Wild Planet’s once-cooked approach means that their products contain higher amounts of Omega-3 and other essential nutrients! If you are unfamiliar, Omega-3 is a nutrient that directly benefits heart health, brain function, depression, cancer, ADHD, and a variety of other conditions. For adults, most doctors recommend 250-500 mg per day. Wild Planet foods are extremely rich in Omega-3, making them a great source of this vital nutrient! According to the EPA, individuals should limit mercury consumption to 0.1 micrograms for each kilogram of bodyweight. To provide a visual, the average 60 kg (132 lbs) woman can safely consume up to 6 micrograms of mercury per day. However, that amount of mercury is pretty high, and you would have to eat a LOT of lean fish in order to reach that amount. In reality, fish truly are safe to consume when purchased from sustainable sources. 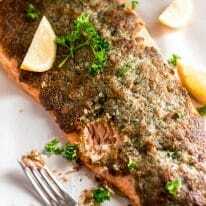 It is not worth it to skip out on seafood altogether to avoid mercury consumption, because in doing so you will miss out on those nutrients that your body NEEDS. 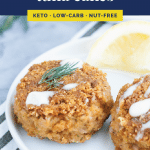 IF YOU LOVE FISH CAKES, YOU WILL LOVE THESE KETO TUNA CAKES! This tuna cake recipe is truly one of my favorites that we have ever featured on Real Balanced. I LOVE how flavorful each bite is, and the nutrient profile is an added bonus! 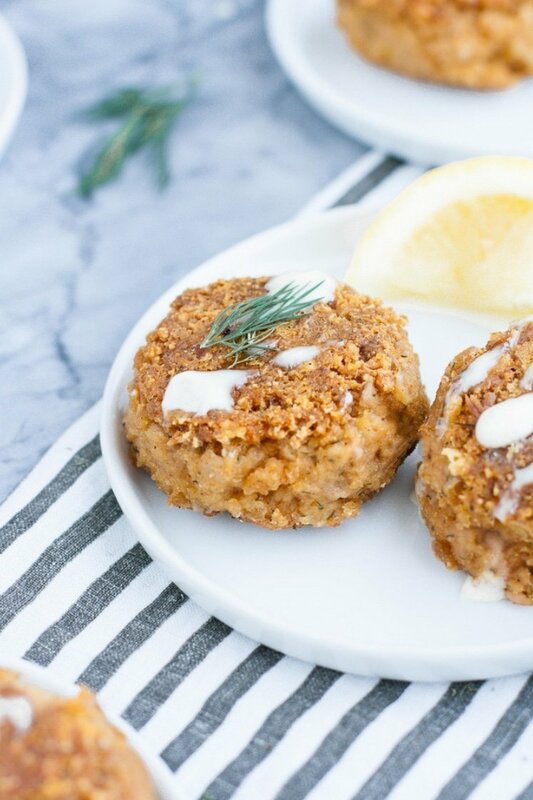 These tuna cakes are a delicious and savory meal, and I cannot wait for you to try them! These tuna cakes are completely keto compliant and perfect to enjoy on a low carb diet. 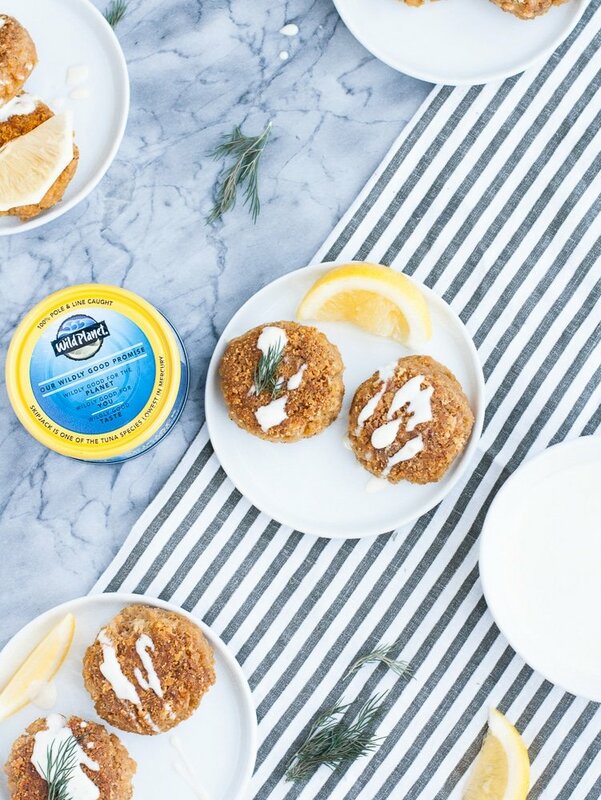 With Wild Planet, a low mercury seafood brand, you can enjoy the TASTIEST keto-friendly seafood cakes that you have EVER had! WONDERING HOW TO MAKE TUNA CAKES? HERE IS YOUR ANSWER! Prepare your ingredients. 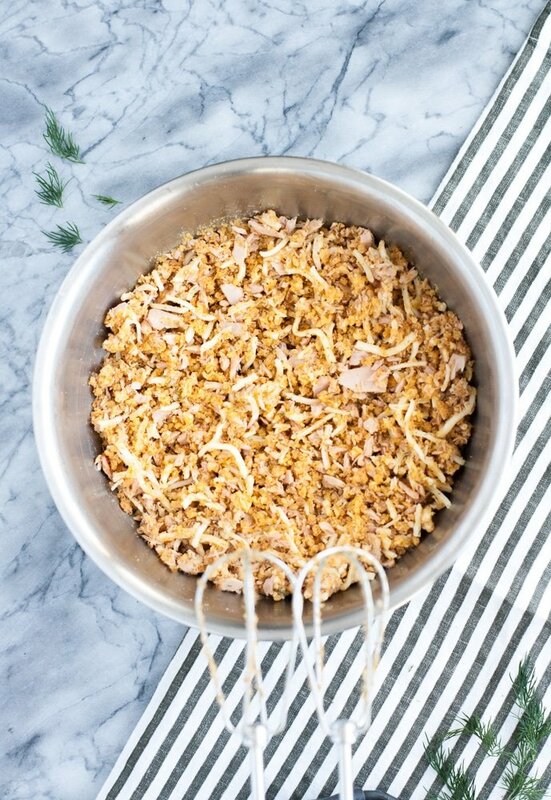 Be sure to finely shred the tuna, which will make forming the tuna cakes much easier. 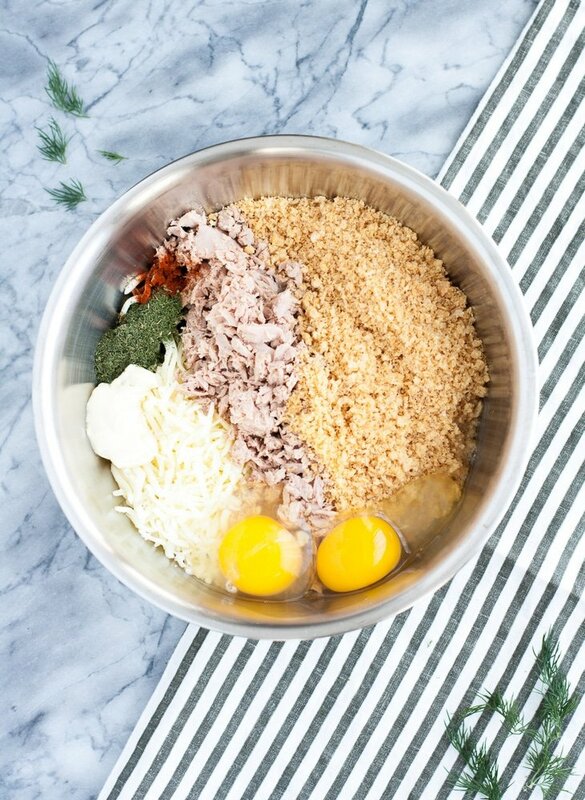 To a large mixing bowl, add tuna, crushed pork rinds, shredded mozzarella, eggs, mayonnaise, and spices. Using an electric mixer, mix together ingredients in mixing bowl until thoroughly-combined. 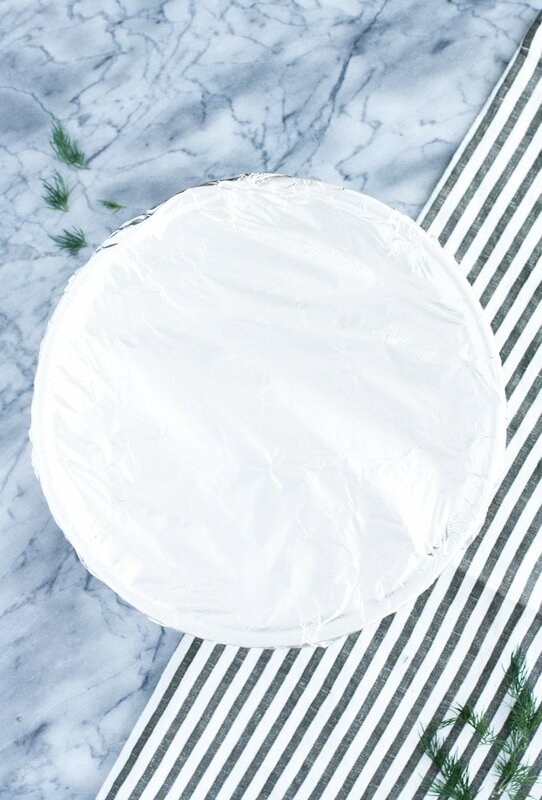 Cover mixing bowl with a lid, aluminum foil, or plastic wrap, then transfer bowl to refrigerator to chill for an hour. Once mixture has chilled, remove mixing bowl from refrigerator, add water, and, using hands, mix mixture together to allow water to soak up. 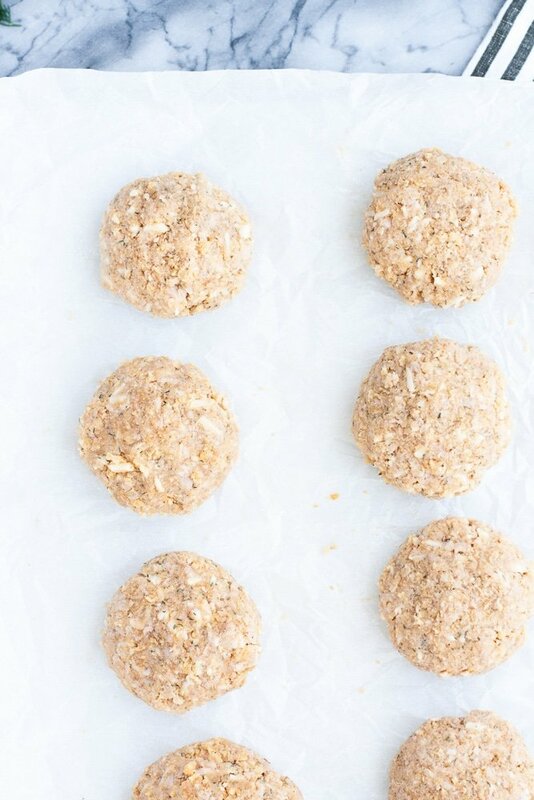 Form tuna mixture into balls before gently pressing down to flatten each ball into 1-inch-thick cakes. Each cake I prepared weighed between 70-75 grams each. Note that if the tuna cakes begin to fall apart when forming, you can add an additional 1-2 tbsp of water to the mixture. 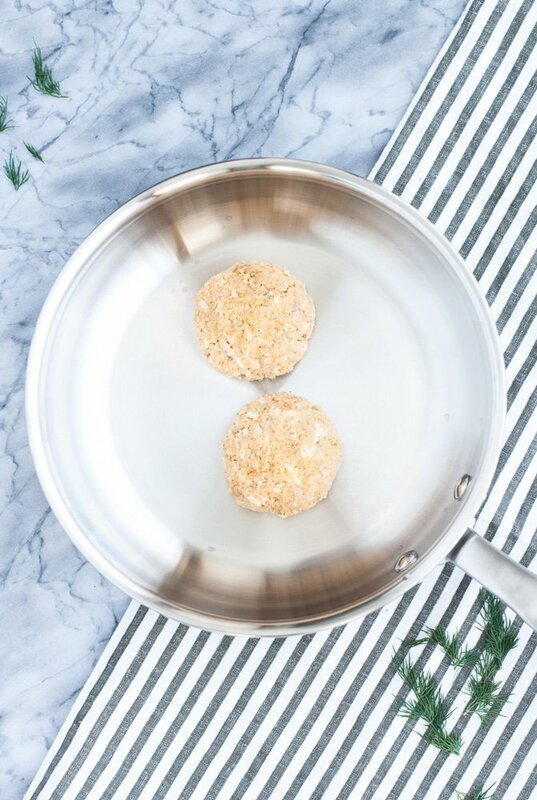 To a stainless steel pan with hot avocado oil, place 2 tuna cakes in even layer and cook until browned, about 5-7 minutes per side. Be patient and do not flip the cakes too early, otherwise they may fall apart. Transfer cooked cakes to a paper towel-lined plate to de-grease. Continue process until all cakes are cooked. 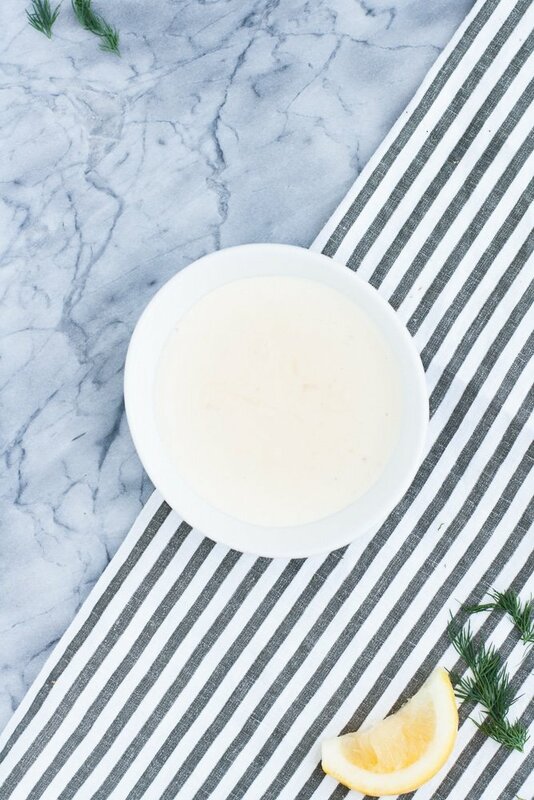 For the Citrus Aioli, in a small mixing bowl, whisk together all ingredients until well-incorporated. Serve tuna cakes with aioli on the side or drizzled on top. Add optional garnishes as desired. These tuna cakes are more than just keto compliant. There are SO many diets that this meal is great for! 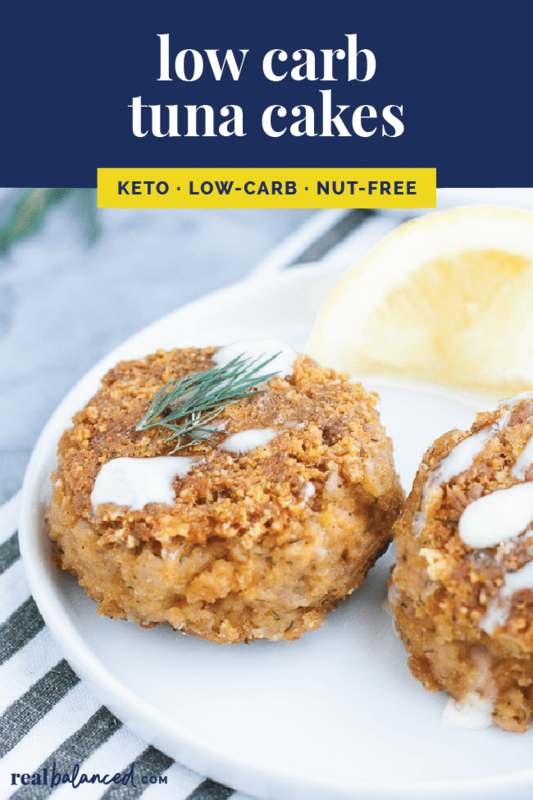 Keto and Low Carb: These delicious tuna cakes only contain 0.8 grams of net carbs per serving, making them the PERFECT keto meal! 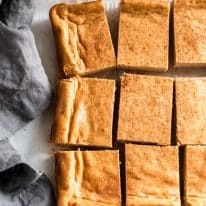 Gluten Free: There are no gluten products included in this recipe, making it safe to consume for those with Celiac and other gluten intolerances. Grain Free: This product does not contain quinoa, rice, barley, or any other grain-containing food. Nut Free: Peanuts and tree nuts are absent from this recipe, making it safe to consume for those with nut allergies and intolerances. Coconut Free: Coconut products are not included in this recipe. Sugar Free: This tuna fish cake recipe does not require the use of added sugar or sweeteners. This is a sponsored post written by Sara Nelson on behalf of Wild Planet. Hi, I was wondering if you could recommend an alternative to pork rinds? Thank you. You could try melting additional shredded mozzarella cheese to replace the pork rinds (the pork rinds are included as they act as a “binder” for all of the ingredients in the recipe). These tuna cakes turned out delightfully crispy! Probably the best tuna cakes I’ve had ever, actually. The best part is you can dip this in whatever sauce you feel like making. I’m also very impressed that you support socio-environmental brands like Wild Planet. Please make more! 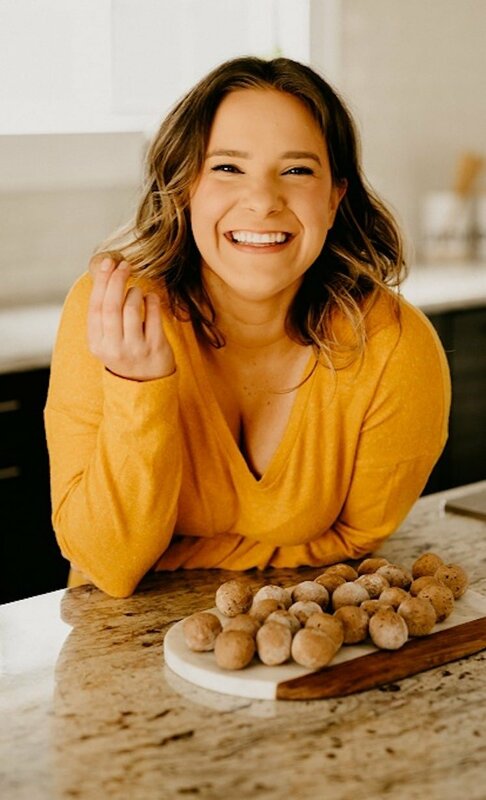 So happy to hear that you enjoyed the recipe, Abigail! Thank you for taking the time to leave a comment and recipe rating!!! Maya, there are two “Print Recipe” buttons on every recipe post on my site: one on the top of the post and one within the recipe card. You can also print the recipe by clicking this link.